For Volvo S90 in all countries. For Volvo V90 in all countries. For Volvo XC60 in all countries. For Volvo XC90 in all countries. 1. 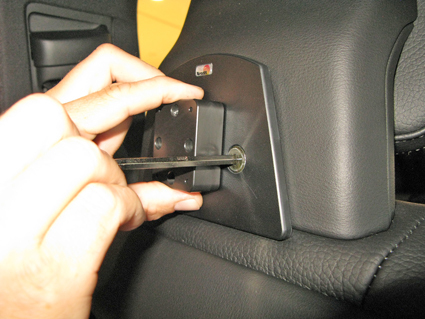 Use the enlcosed tool to remove the screws in the headrest mount. 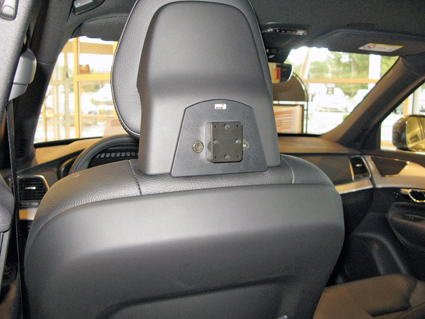 Place the back part of the headrest mount onto the front side of the headrest. 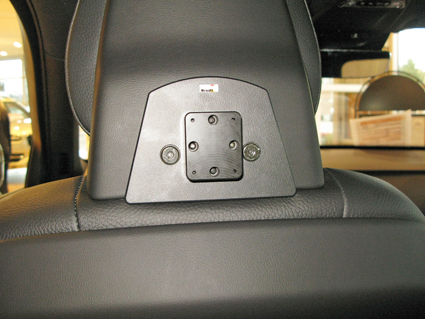 Place the other part of the headrest, equipped with a mounting plate, onto the back part of the headrest mount so the screws match the holes. 2. Place the screws in the holes. 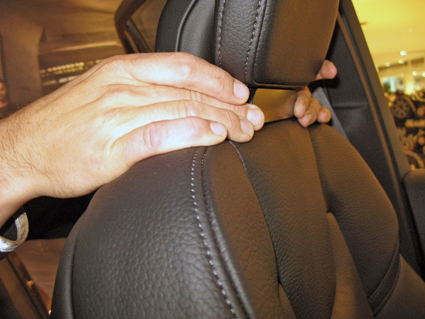 Tighten the screws until the headrest mount is securely in place. 3. and 4. The headrest mount is in place.